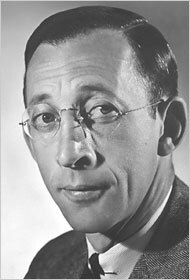 You might not know character actor Charles Lane's name, but you'll probably recognize his face. He had roles in hundreds of films and television shows, including a turn as Mr. Potter's rent collector in It's a Wonderful Life. He died last month at age 102. Where was his maternal grandmother buried? Nice work! Here's a link to her funeral notice.